Welcome to Dublin’s Westmoreland Street at the heart of the City and just around the corner from Temple Bar, Dublin’s party central! 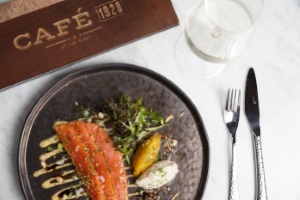 Café 1920 is a lush oasis from the hustle and bustle of City life, it is an intimate restaurant with a full service bar and a diverse menu to suit visitors to Dublin and local folk too. Turn right from Café 1920 and walk for 4 minutes and you will find yourself at the gates of Trinity College, turn left and after walking 2 minutes you will reach O’Connell St Bridge and the famous River Liffey that divides Dublin from North to South. A stroll along the river and then a stroll back through Temple Bar ending at Café 1920 would make the perfect afternoon. Our Head Chef Neil Mulholland has worked in restaurants on several continents, but his easy Irish charm meant he would always be an asset at the helm of any Dublin restaurant. Neil is an advocate of local Irish produce and will delight in discussing organic farming in Ireland and the wonderful farm to fork ethos we have on this island of Ireland. 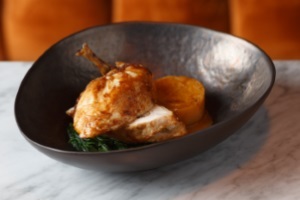 Neil’s food is designed to delight any palate with local ingredients cooked simply and elegantly. 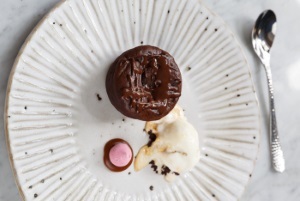 Menus are available daily from 12 midday and include a light bites section, full lunch or dining à la carte. 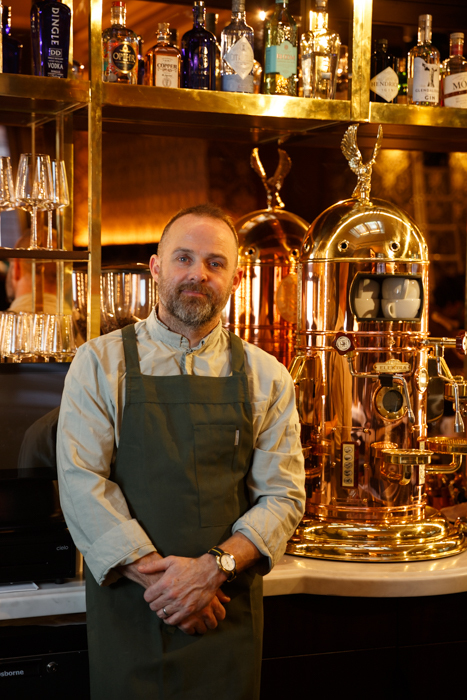 Café 1920 has been opened since August 2018 and whilst the food is sublime, the focus on the 1920’s theme is a work in progress. Every day could see a new element evocative of the fun times that are easily recognisable of that era. Just last week a classic gramophone took up residence in the restaurant and more adornments will come as the weeks progress. Watch this space! !